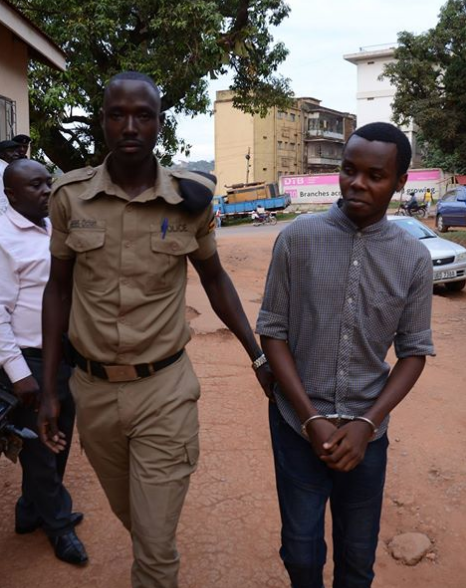 KAMPALA – Uganda police has Friday revealed that Malimali Ndihoma Sisco Mashal Justine who was arrested on suspicion of murdering two Congolese girls at old Kampala has confessed. Malimali was arrested by AVIPOL at Entebbe Airport while trying to flee the country early this month. According to police, Malimali was forwarded to Old Kampala police on suspicion that he might have killed the two girls whose bodies were found decomposing in an apartment at Kakeeka zone in Rubaga Municipality on January 6, 2019. At about 2 pm on January 6, 2019, Kakeeka zone local council leaders called and informed the area police to respond to an incident of a person suspected to have died inside a locked house. Police say the area commander together with other officers cordoned off the scene perimeters and two female decomposing bodies were recovered. The deceased were identified as Hulda Njiba and another one only identified as Safi. Police also revealed that Safi and Njiba had been reported missing from Entebbe on January 4, 2019, vide Entebbe Police CRB 006/2019. According to police investigations, Malimali and Njiba were in a love relationship before Njiba got another boyfriend. Police suspect that Malimali killed Njiba in revenge for betraying their love. The suspect is currently detained at Old Kampala on murder charges vide CRB 030/2019.